Nikolas Cruz, 19, was arrested after the Valentine's Day mass shooting. The teenager accused of gunning down 17 people at a Florida high school had a fascination with talk of guns and was preoccupied with wars and terrorists, according to school records obtained by ABC affiliate WPLG. Nikolas Cruz, 19, was arrested after last week's Valentine's Day massacre at Marjory Stoneman Douglas High School and was charged with 17 counts of premeditated murder. 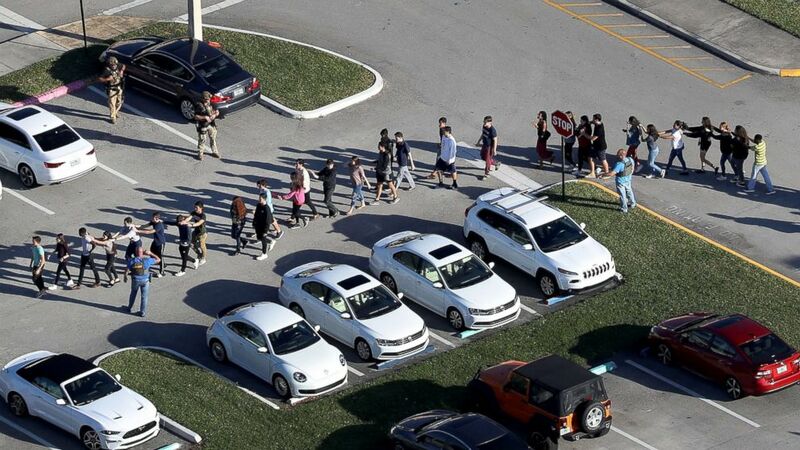 (Joe Raedle/Getty Images) People are brought out of the Marjory Stoneman Douglas High School after a shooting, Feb. 14, 2018, in Parkland, Florida. 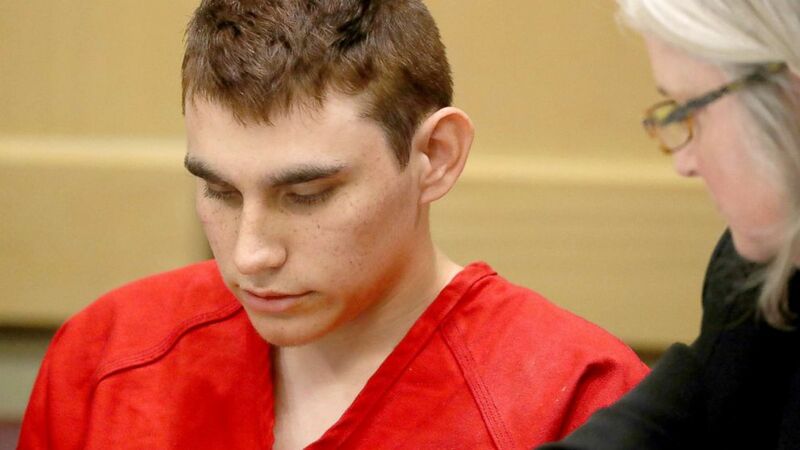 The documents, first obtained by WPLG, detail an individualized education plan (IEP) written for Cruz in June 2015, seven months before he transferred to Stoneman Douglas High School. His eligibility for the IEP was based on emotional/behavioral disabilities and language impairments. A spokesperson for Broward County Public Schools declined to comment to ABC News on the documents. The IEP was written as Cruz was finishing ninth grade at Cross Creek, an alternative school. The IEP shows a mixed bag of an improving student with ongoing issues of self-control -- and a fascination with talk of guns. 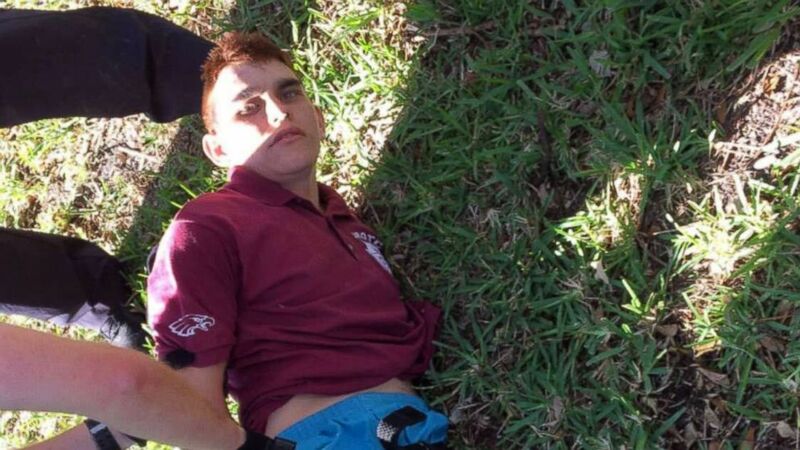 (Police photo) Nikolas Cruz is placed into handcuffs by police near Marjory Stoneman Douglas High School following a mass shooting in Parkland, Fla., Feb. 14, 2018. The IEP indicated that Cruz was making progress at the alternative school, both academically and behaviorally, but that he was, at times, easily distracted by his peers when discussions involved guns and the military. Another entry in the report indicated Cruz needed to be redirected at times to make better choices and use better coping skills. "When things don't go that way he wants, Nikolas becomes frustrated and will perceive that it's the fault of others," the documents state. "He has made comments that authority figures are against him as a result of his not getting his way." (Mike Stocker/South Florida Sun-Sentinel via AP) Nikolas Cruz appears in court for a status hearing before Broward Circuit Judge Elizabeth Scherer in Fort Lauderdale, Fla., Monday, Feb. 19, 2018. The IEP references Cruz’s mother, who has since died. She, according to the report, felt her son was "doing well at this school." "She is so happy with his academic as well as behavioral progress," the report states. 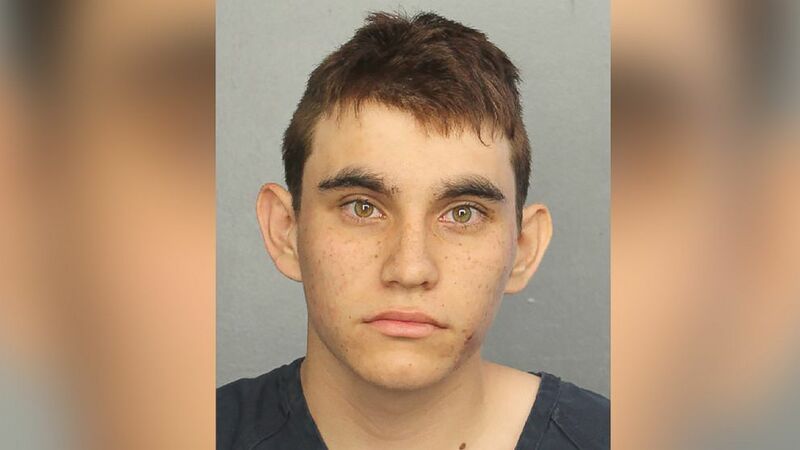 The report says Cruz had no behavioral issues that had required him to be removed from the classroom, but it does note two incidents outside class; one where he was coerced into jumping out the back of a bus, and another where he was repeatedly punched by a peer because Cruz allegedly used racial slurs toward the peer. (Broward County Sheriff) Nikolas Cruz is seen here in his mug shot, Feb. 14, 2018. The documents also reveal that Cruz enjoyed volunteering for the YMCA every week and playing video games after school. According to the report, Cruz's personal goal was to be "mainstreamed to his home high school. He often perseverates on the idea that his current school is for students that are ‘not smart’ and that he can now handle being in ‘regular’ school." Cruz planned to go to college and/or the military, according to the report. In court after his arrest last week, public defender Melisa McNeill called Cruz a "broken child." "My children they go to school in this community and I feel horrible for these families," McNeill said, adding, "and Mr. Cruz feels that pain."